The Festive Season is gone and we now get back into the real world. Over the past week or so it has been quite difficult to find any good bargains in the Single Malt Whisky shelves of our local supermarkets. Isle Of Jura Superstition 70cl was £29.99 now £23.99. This is one of Jim’s top ten drams. Tobermory 10 Year Old 70cl was £22.21 Now £18.21. Great price for this Island dram. Talisker 10 Year Old 70cl was £28.95 Now £22.95. Jim opened a bottle last night. That is a whopping £16.00 saving over the three bottles you can almost get another bottle of Single Malt or indeed a Litre bottle of a Blended dram. 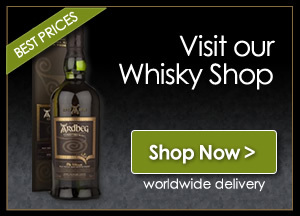 Enjoy not only the savings but the drams too, well done to Morrison’s once again.